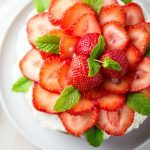 I am completely new to Tres Leches Cake. 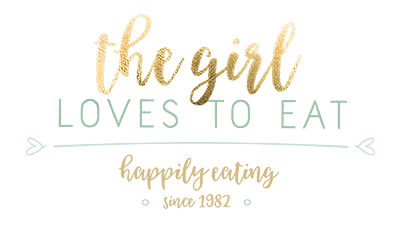 I just discovered it a couple of months ago, but was intrigued the moment I saw a recipe online. So I made some tres leches cupcakes early this spring and brought them to family dinner at my parents. They were a big big hit!! Especially my father and I were always a big fan of soaked cakes, which are kinda hard to find in Germany. German cakes are usually packed with fruits and cream or chocolate and nuts, but sponges are always dry. In Spain however you often get pastries where the sponges are soaked and syrup. So whenever we are in Spain we always visit local “pastelerias” to get our share of those delicious soaked cakes and pastries. 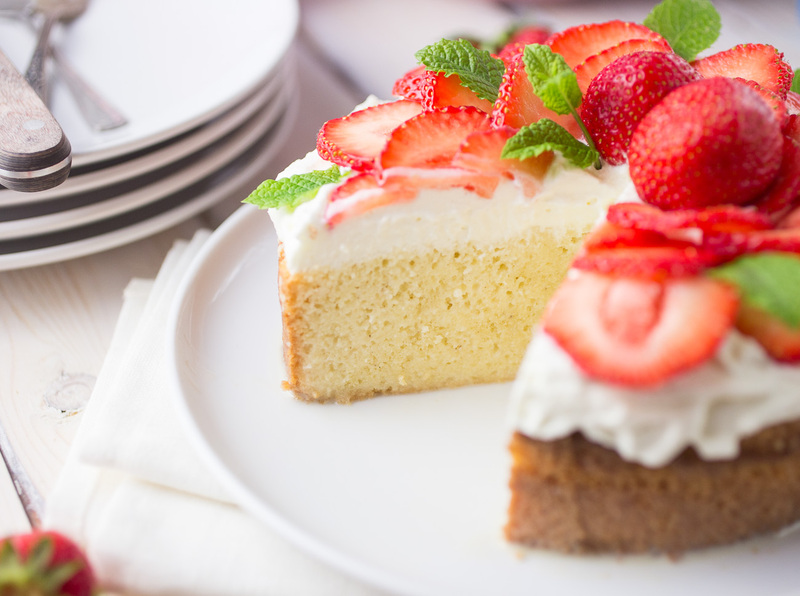 If you love soaked cakes, this cakes will be right up your alley. The sponge is deliciously sweet and rich and tastes best when it has been refrigerated before. 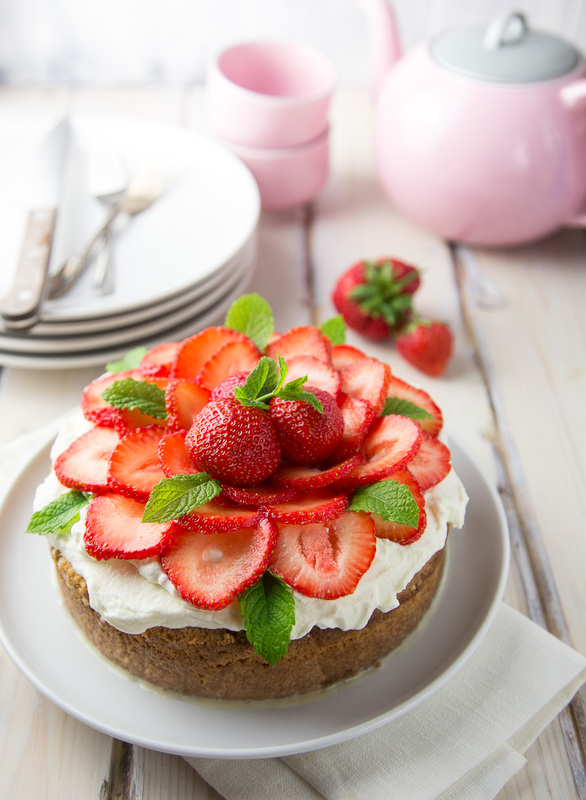 I added a very generous layer of strawberries to the top, because strawberries and cream are a match made in heaven and the fruity flavour balances the intense sweetness of the cake itself. 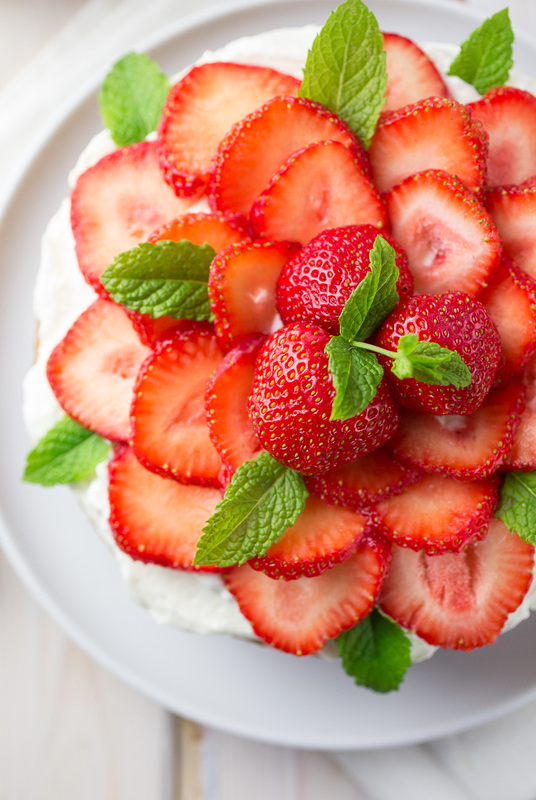 Strawberries will be in season for another couple of weeks, so give it a try! Preheat your oven to 180° C / 350° F and grease a 20cm / 8“ round cake tin. In a bowl mix the flour with the baking powder and the salt. Set aside. In a large bowl cream together the butter and sugar with a mixer until it's light and fluffy. Add one egg at a time and keep mixing until everything is incorporated. Add the vanilla and the flour mixture and mix until everything comes together. Fill evenly into the cake tin and bake on the middle rack for 30-35 minutes or until a wooden skewer comes out clean when you poke it into the middle of the cake. Leave the cake to cool for 30-40 minutes out of the tin. Mix the ingredients for the soak. The soak is applied the easiest way, if you put the cake back into the tin and then pour the soak over the sponge. If your tin is a two piece number and therefore not really watertight, line your cake tin with several layers of plastic wrap before you start with the soaking process or else you'll be in a world of pain, when sticky milk soak seeps out the tin and probably into your fridge. 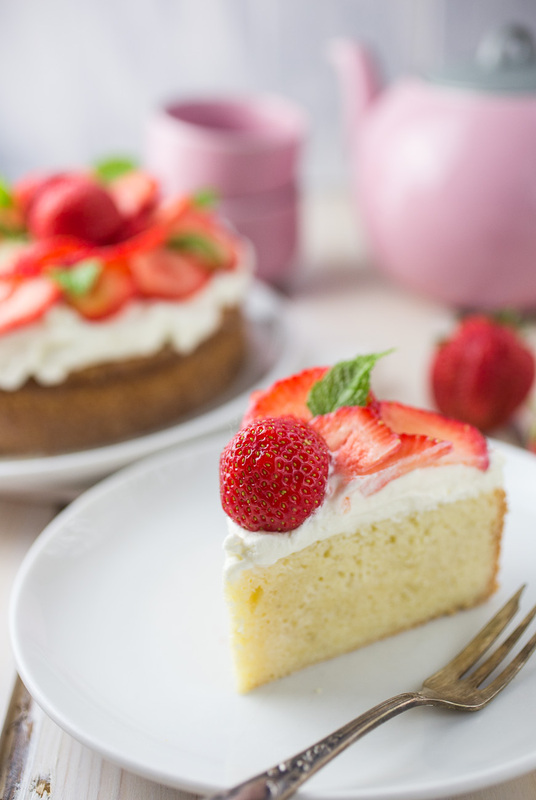 Refrigerate the soaked cake for at least 4 hours or even better over night. Before serving prepare the topping. For the topping mix the heavy cream with the sweetened condensed milk and whisk it until it's stiff. Spread evenly on the cake. 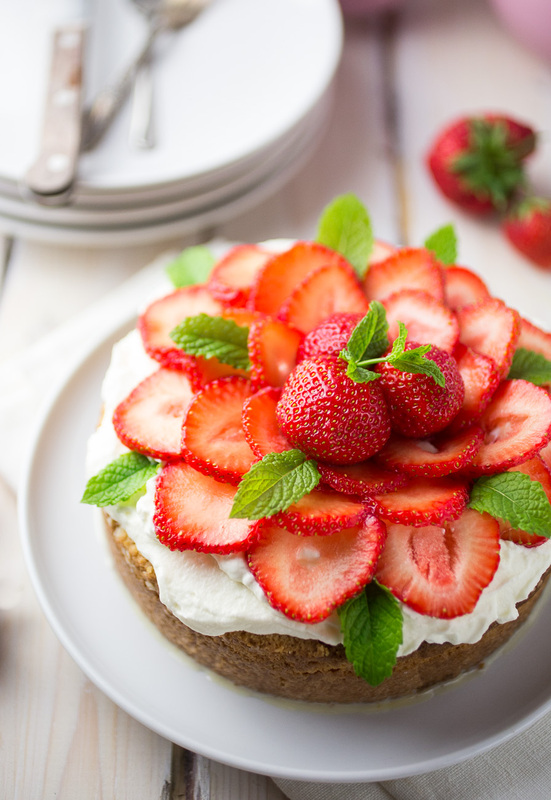 Decorate with the strawberries and mint leaves. You could always use a larger cake tin for the same recipe and your cake would be a bit thinner, which is alright too. Just add around ¼ cup of heavy cream and 50g of strawberries to the topping, because you'll have a bigger surface to cover.